NATIONAL REACH: The Joseph Storehouse warehouse has been used to help Arab and Jewish Israelis across the country and recently was used to hand out warm clothes, blankets and heaters as some citizens can’t afford to keep warm. Picture courtesy of Vision for Israel. DIFFERENT BACKGROUNDS: Barry and Batya Segal met through a bible study convention. Batya comes from an orthodox Jewish family in Jerusalem and Barry is originally from Detroit. Picture courtesy of the Jeshua Saviour website. A LITTLE-KNOWN charity in the Middle East with links to Dorset has a powerful story of hope to tell for our troubled times and wants to reach a wider audience. Back in November, Barry Segal, founder of the Joseph Storehouse in Jerusalem, Israel, came to visit the Life Church in Poole, pastored by Suzanne and Steve Brown, to give an update on how their money is being used to support the poor amongst the Arab and Jewish communities there. The interview transcribed here took place between Barry and Dr John Tweedie, of c4I Canada, who represent Canada’s support for their work and it explains what motivated Barry and his Batya to set up the foundation in 1994. Batya and Barry come from different countries. Batya was born into an indigenous Jewish family in Jerusalem and Barry comes from Detroit, the home of Motown Michigan, the United States, and home to the blueprint of mass car production with familiar brand Ford being the top dog. 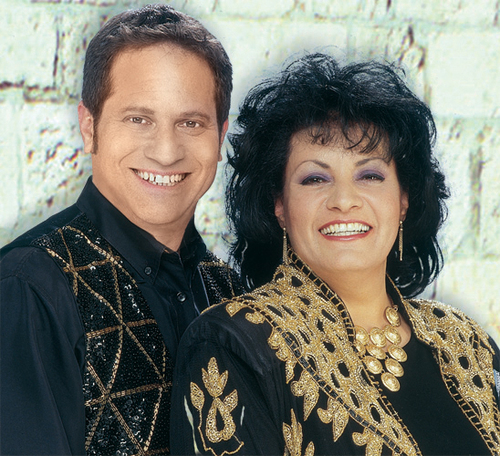 Being both musically gifted and Messianic Jews, Barry and Batya met through a bible study convention for musicians and songwriters in Jerusalem. Barry believes the 1993 Oslo seven year peace accord signed between Palestine Liberation Organisation president Yasir Arafat and Israeli leader Yitzhak Rabin was a false one as he claims part of the deal led to Hamas prisoners being released who then went on to commit atrocities against the nation of Israel. On returning from a praise and worship trip in South Africa on 25 March 1996, a Hamas suicide bomber boarded a bus through the Segals’ neighbourhood which had a number of their older daughter’s friends on it, and three of them were murdered when the man detonated his explosives. Barry said: “Instantly through the tears of our older daughter and another friend killed in a separate Hamas suicide bombing, we were reminded through the words of James (in the Bible) that true religion before God the Father is to take care of the orphans and the widows in their hour of need and faith without works is dead. “Of course Jesus says in Matthew 25, when you have done this to the least of these my brethren you’ve done it unto me’ which is clothing, feeding and visiting those in prison. Despite Western perceptions o the hi-tech industries that are based in Israel and the perceived “progressive nature” it has, its level of poverty is “very serious”. Barry said: “The God that we serve has compassion for everyone. Being Jewish, we’re here in a nation that we are citizens and we help our population to the best of our abilities and the tools what we have been given and we continue to appeal to all our donors that the works of God are proven through the compassion that we show. “Who are we to differentiate between somebody’s skin colour, whether they be an Ethopian Jew, a Western Jew or from Russia? Who are we to say God doesn’t love the Arabs, whether they be traditional Christians by tradition, secular by background , evangelical or Muslim.